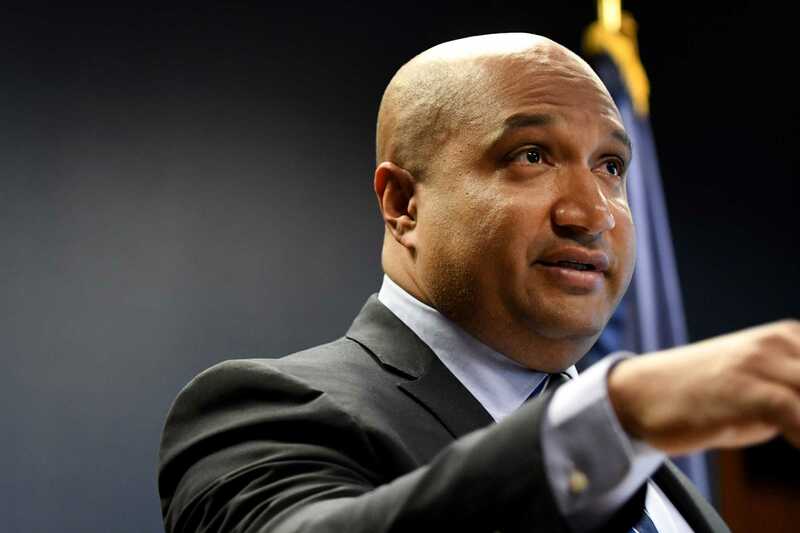 ALBANY — Albany County District Attorney David Soares is closing the book on low-level marijuana offenses, and opening his mind to the possible legalization of recreational pot. Soares, who campaigned in 2004 championing reform of the state&apos;s harsh Rockefeller drug laws, will as of Dec. 1 no longer prosecute anyone accused of possessing up to 2 ounces of marijuana, a B-level misdemeanor that carries a maximum of three months in jail, or unlawful possession of marijuana, a violation akin to a traffic ticket. "We&apos;ve been feeling the need to make this change for quite some time," Soares told reporters Thursday after announcing the policy change at a news conference at the Albany County Judicial Center. Soares made it clear that the policy change should not be seen as license to smoke pot. The office will still prosecute low-level charges where someone is smoking in the open air, in a vehicle and/or in front of children. The fourth-term Democrat, who currently serves as president of the District Attorneys Association of New York, said his office is facing more harmful threats from the use of heroin and fentanyl.